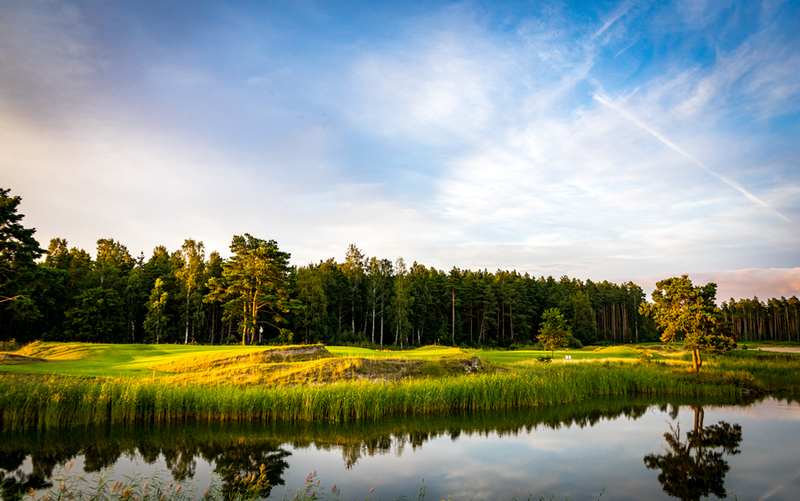 This time I am very proud to feature a course I discovered the first time on Instagram during my restless search for undiscovered, unseen and new golf courses around the world. 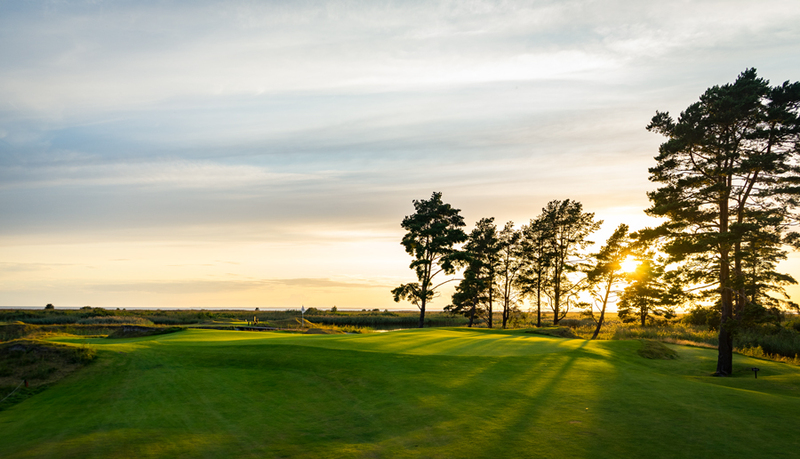 Pärnu Bay Golf Links was opened in 2015 and is designed by Lassi Pekka Tilander with Mick McShane as the lead shaper. 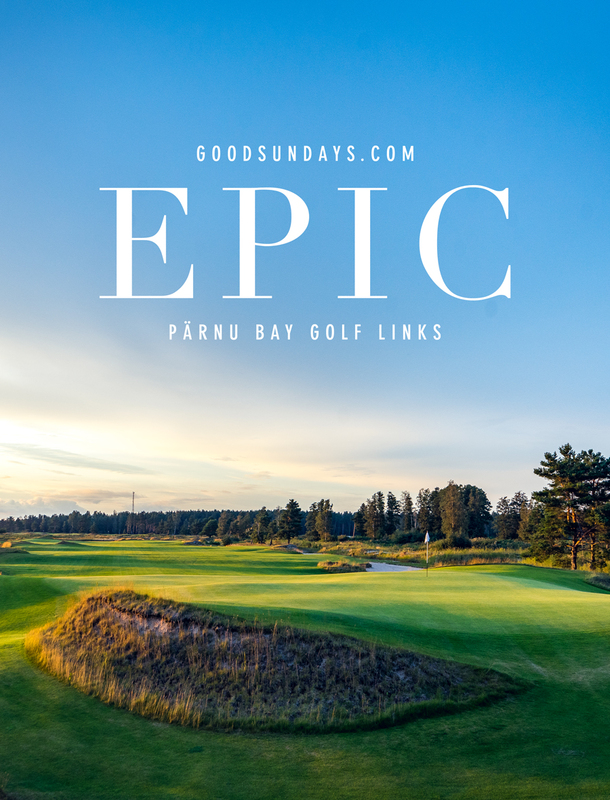 I was more than attracted from the first moment I saw Pärnu Bay Golf Links. 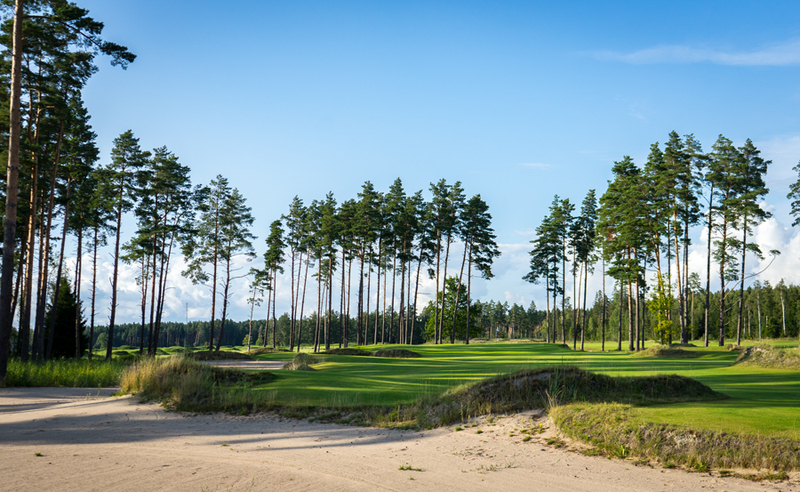 As soon as you enter Pärnu Bay Golf Links via the small road which first runs through a forest you will know what I mean. 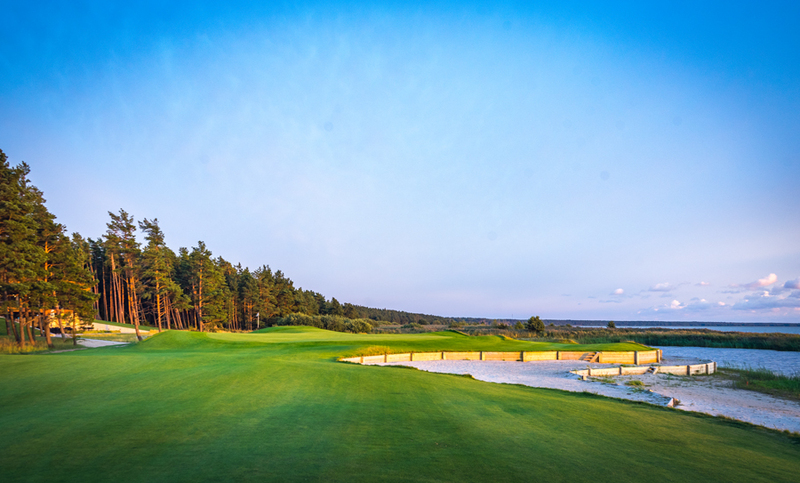 You will discover the course on the right side, the amazing par 3 course on the left and in front the impressive and very stylish clubhouse. 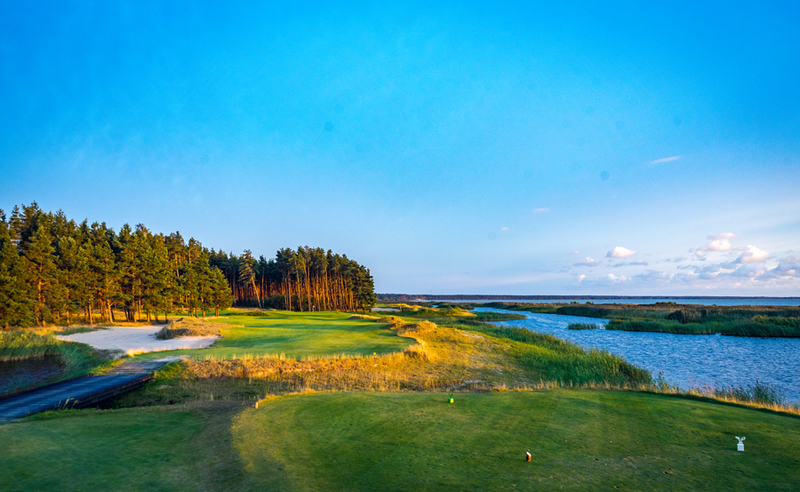 The architecture of the clubhouse is tremendous and fits so well in the surrounding of the beautiful landscape. 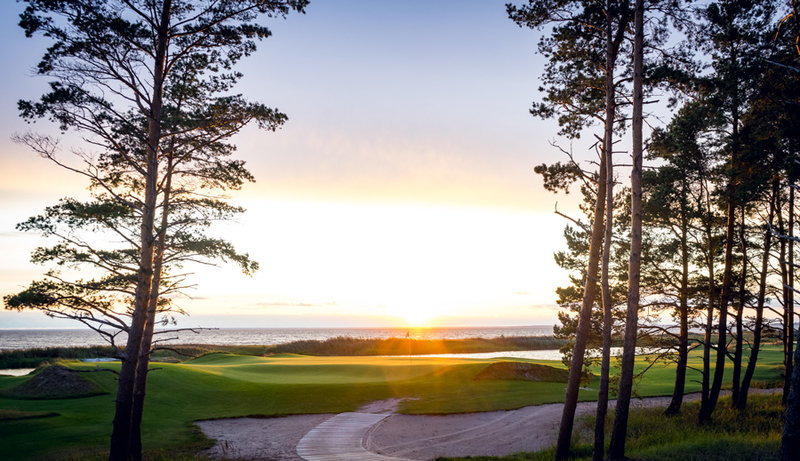 What the clubhouse offers from the outside you will also find inside. The perfect combination of concrete and wood equipped with well chosen design furniture, really impressive. 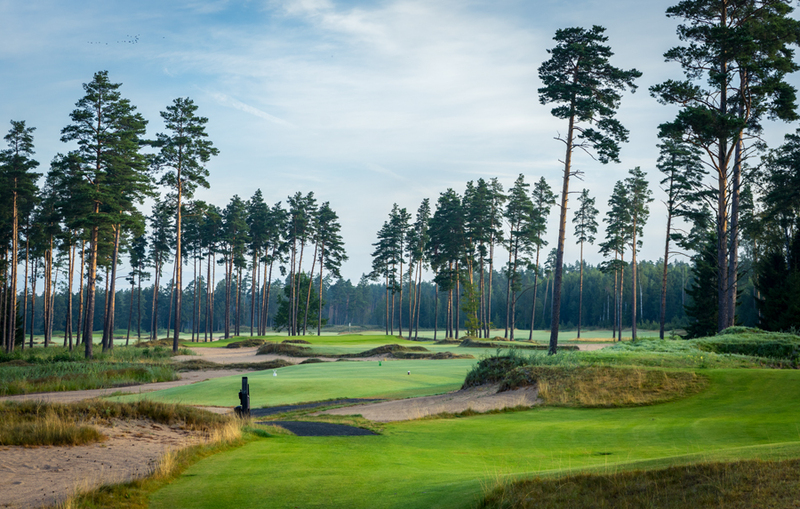 We prepared our bags straight away and walked over to the first tee. 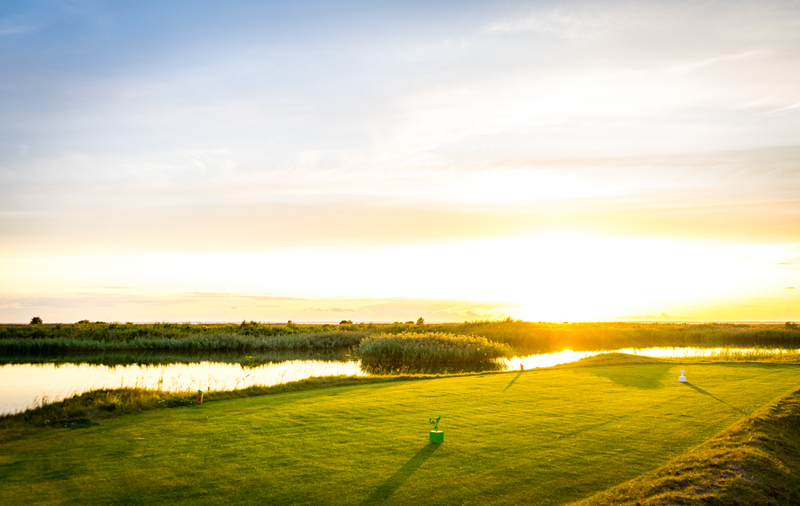 The first hole already clarifies what you will get within the next 4 hours. 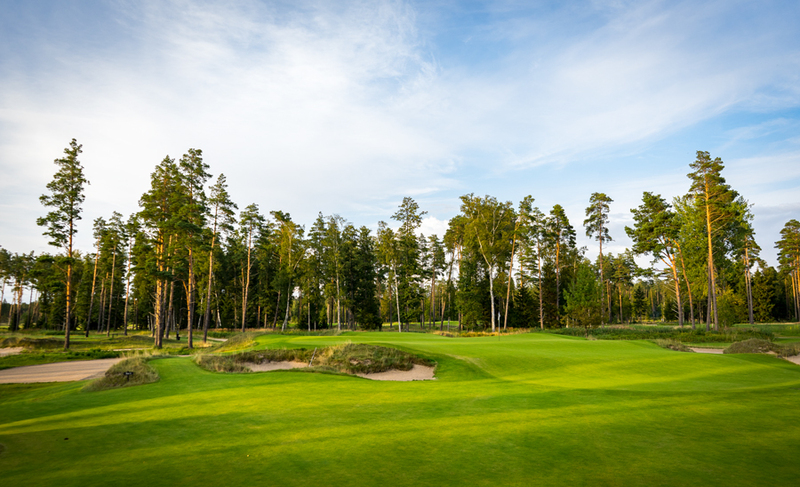 A challenging, amazingly designed golf course in world class conditions. 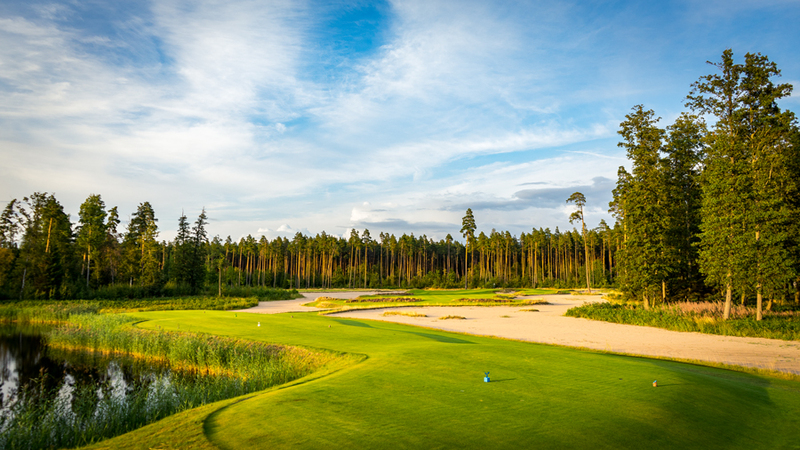 The course is integrated in the typical Estonian woods and this woods in combination with all the sand traps, wasted areas, water hazards and the wind will create a very special time for you on a very special place on earth. 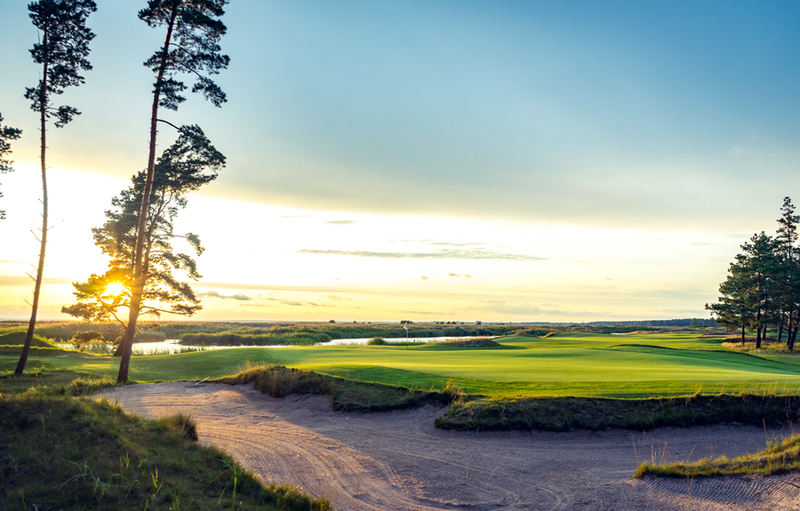 After I played a few holes at Pärnu Bay Golf Links I realized that I was so happy inside. It was so quiet and the daylight was so special. I made several shots with my camera. 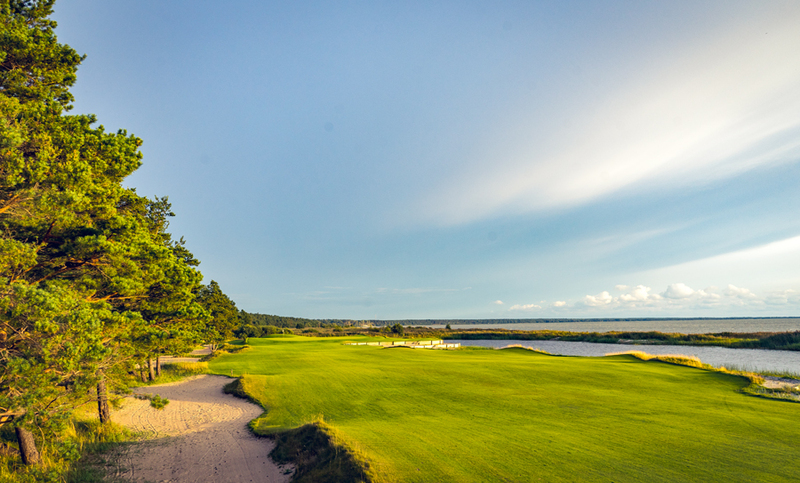 Some of my favorite holes on the front nine were the holes stretching from No. 3 to No. 5. 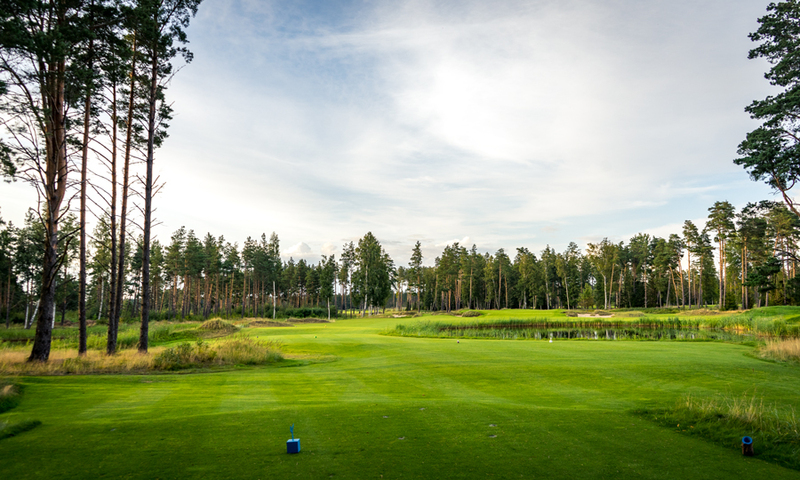 The fairways became more open and I could use my driver. 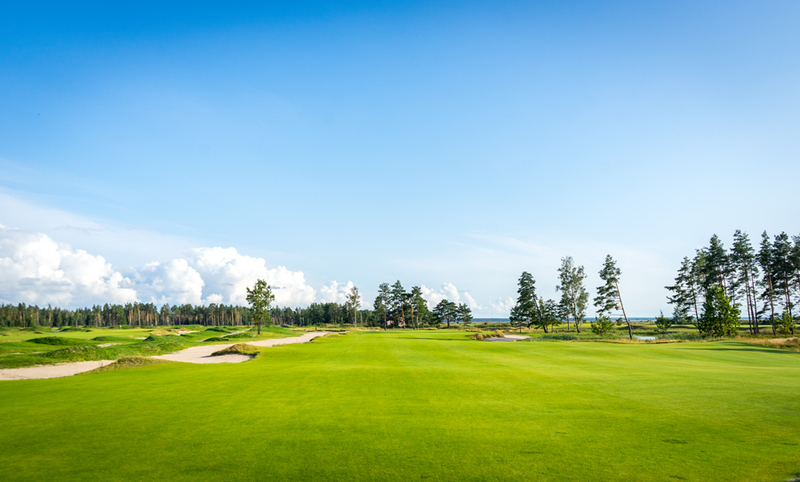 But don’t get messy, missing the fairway means sand trap or waste area which literally means sand trap. 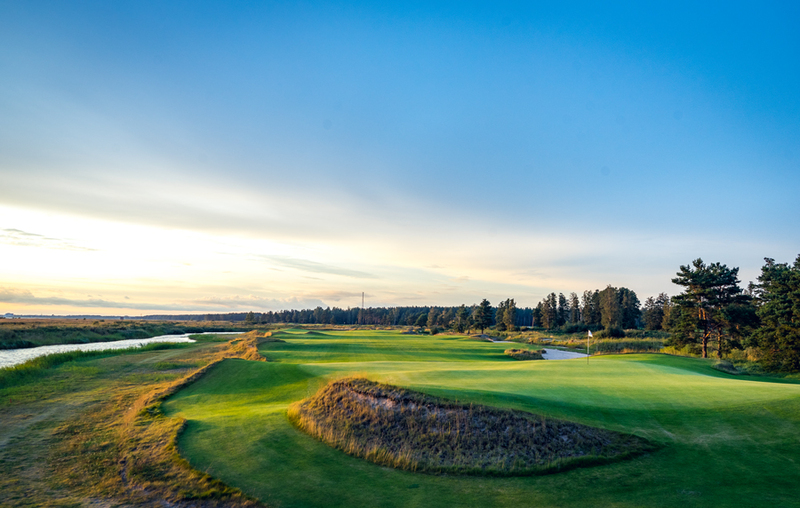 The course designer of Pärnu Bay Golf Links, Lassi Pekka Tilander, did an amazing job in my opinion. 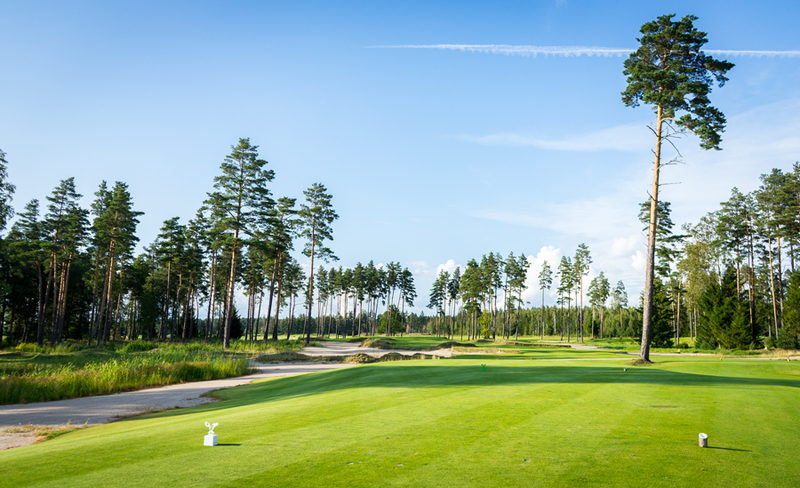 Every hole from the tee to the green was just delicious to play. And as mentioned before the conditions of the whole facility was spectacular. 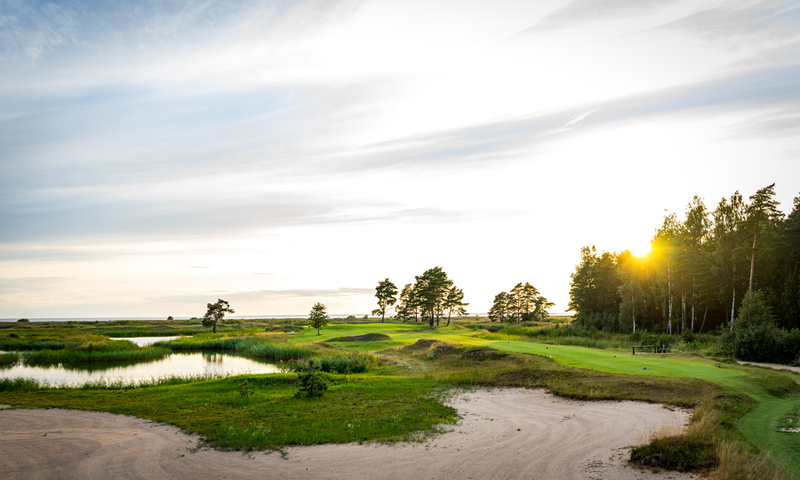 But the most picturesque part of Pärnu Bay Golf Links are the last 4 holes next to the Baltic Sea. Starting with No. 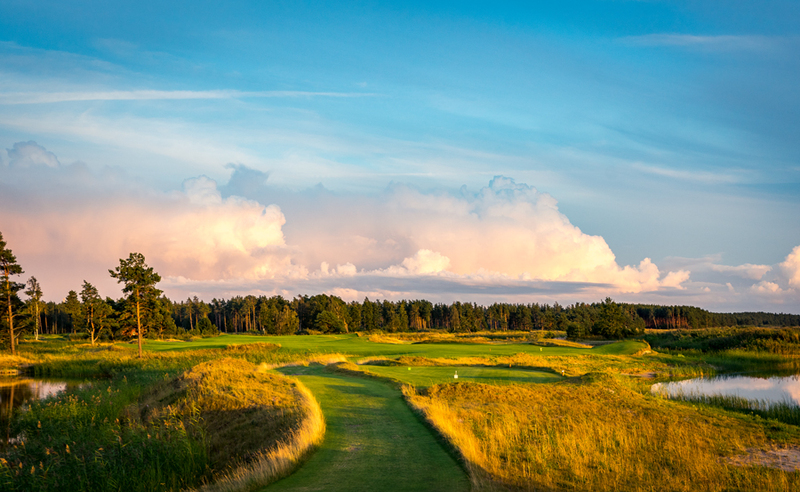 14 a mid-length par 3 into the direction of the Baltic Sea. Yeah, it’s nice but when the wind is picking up you will have a hard time finding the dance floor. 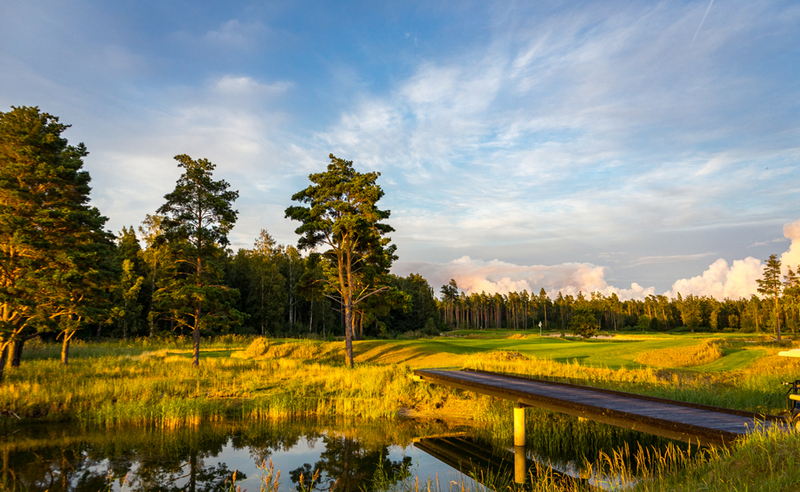 Well, I walked of with par as there was just a light breeze going on. 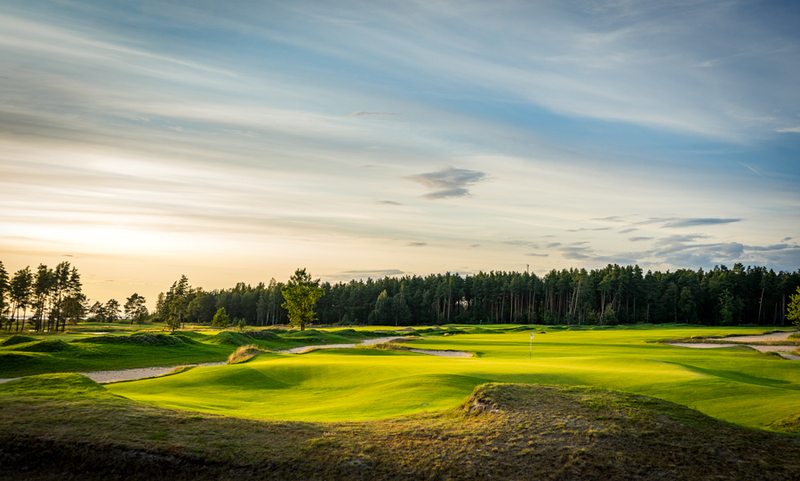 The next hole, No. 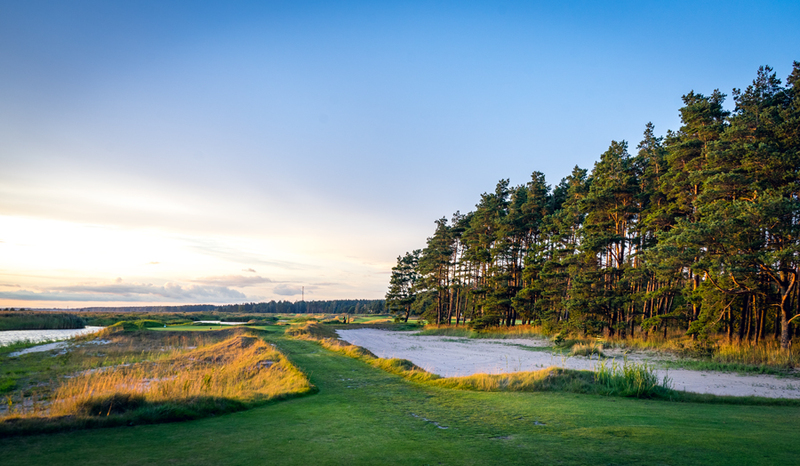 15 with the tee boxes in the woodlands of the Baltic Sea you should play smart and just hit an iron from the tee. 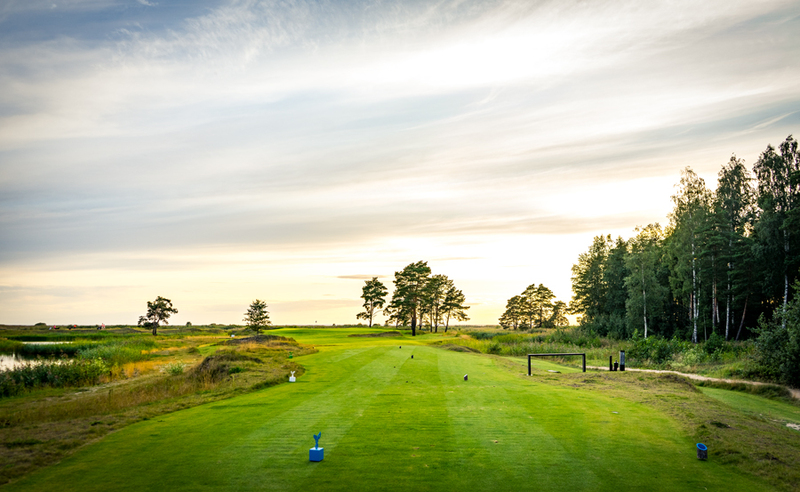 No need to play aggressive as the fairway is very narrow and the hole is short. I hit a straight shot for my approach. 140m left for my lay-up shot and I chose an 8 iron. 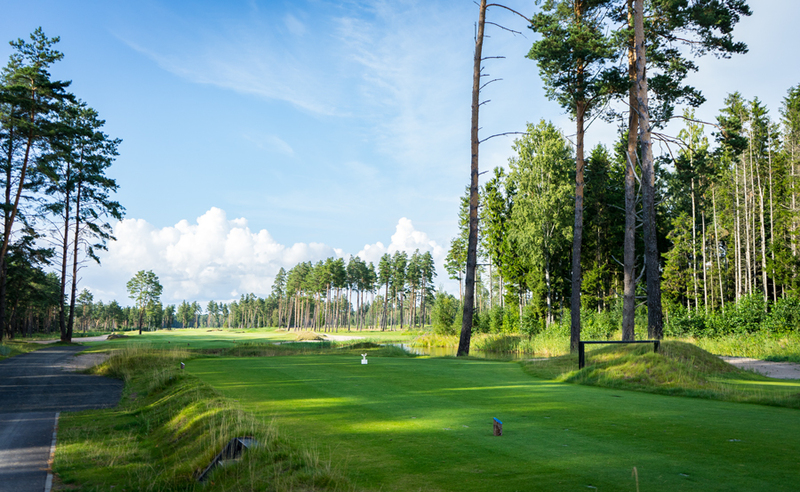 But with this short and strong breeze my ball ended up on the tee box of the 16th tee. Very curious but double bogey here. No. 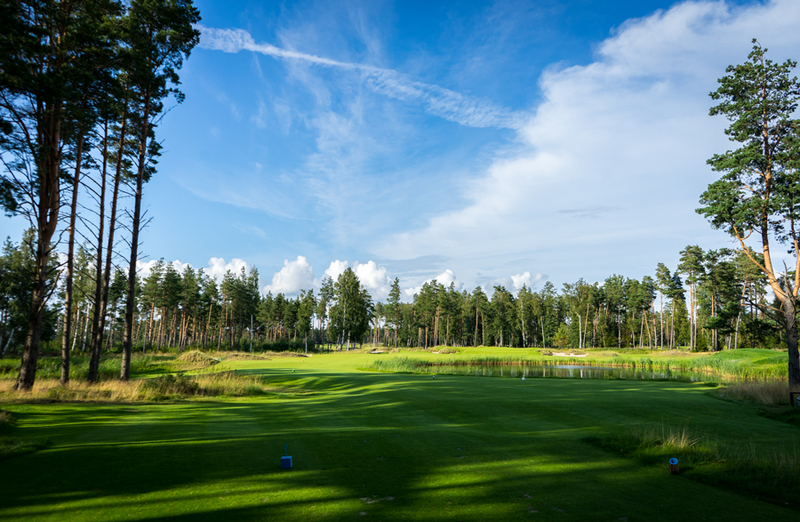 17 is another nice long par 3 with 158m from the white tees. A 6 iron and two putts for par were obviously the right choice. But it all comes to a fabulous end with No. 18. 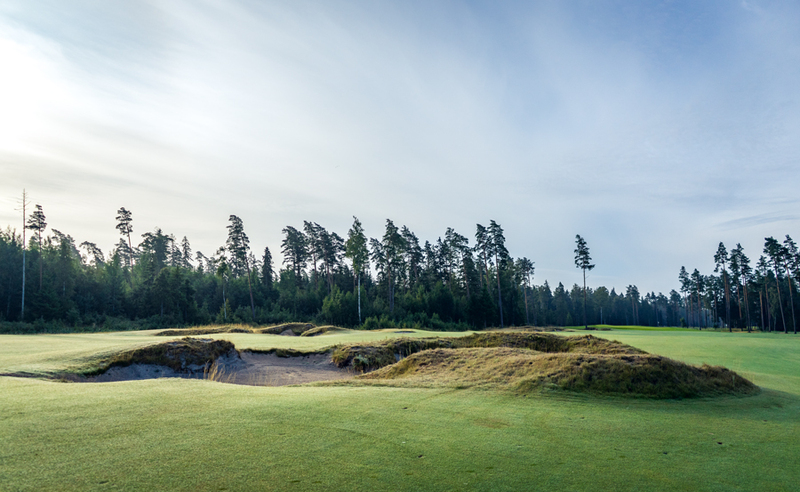 This beast of a par 5 is a though hole to finish your round. 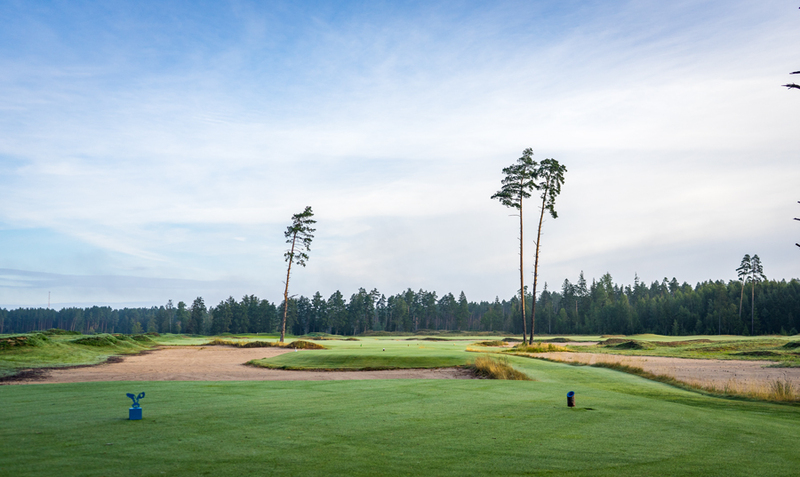 With 494m from the championship tees you need to place your ball in the center of the fairway. 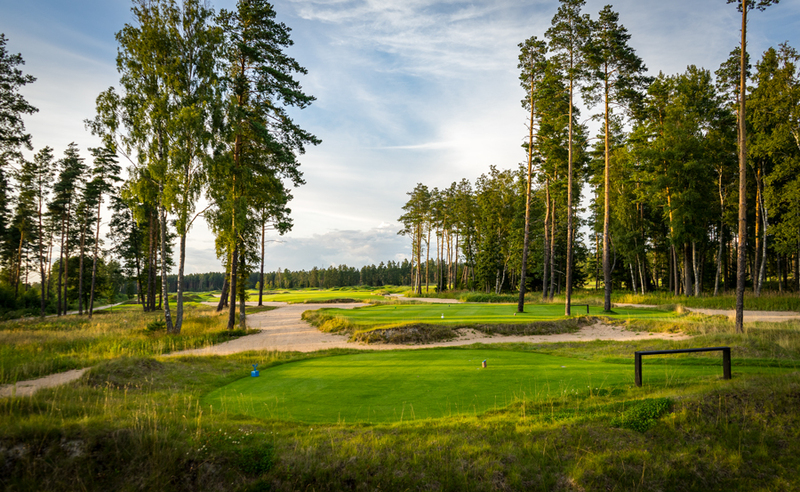 If not you will probably have a lost ball. So better play defensive. Same scenario with the second shot. 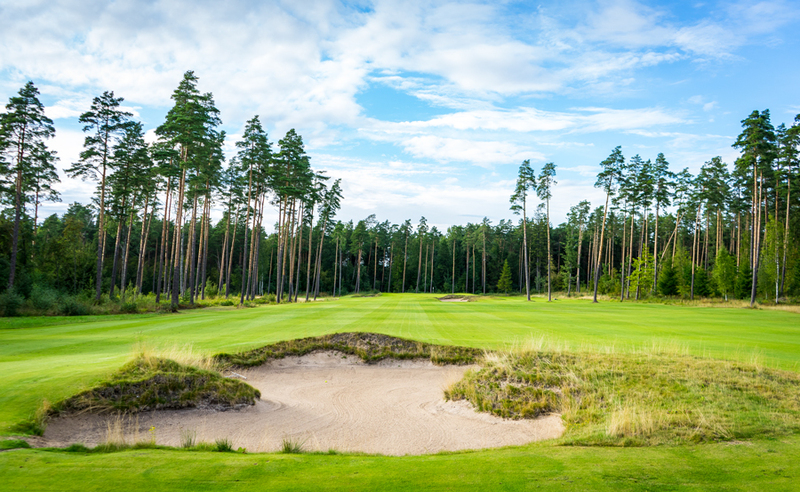 I had just a 9 iron left to the green but I missed it and ended up in the bunker which almost covers the whole green of No. 18. 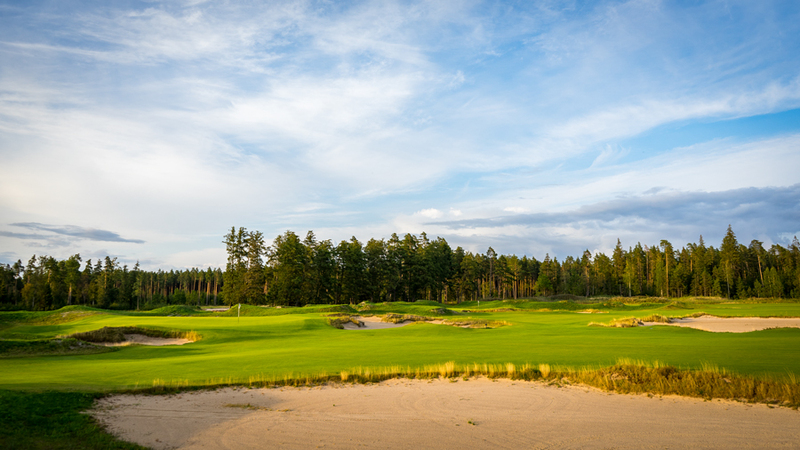 Crazy but somehow I made a nice sandy par out of this bunker on the fast greens. 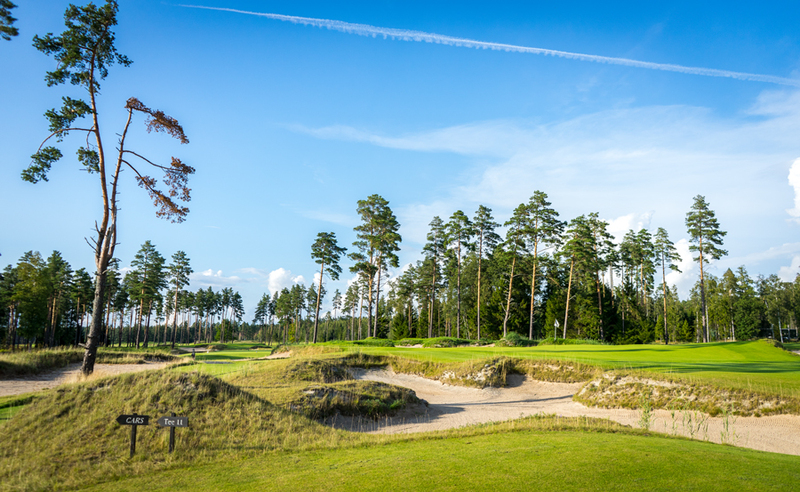 So in summary you need to play Pärnu Bay Golf Links.